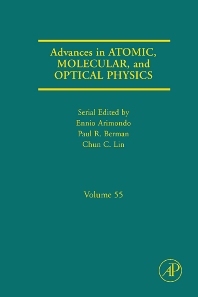 Volume 55 of the Advances in Atomic, Molecular, and Optical Physics Series contains seven contributions, covering a diversity of subject areas in atomic, molecular and optical physics. In their contribution, Stowe, Thorpe, Pe’er, Ye, Stalnaker, Gerginov, and Diddams explore recent developments in direct frequency comb spectroscopy. Precise phase coherence among successive ultrashort pulses of a frequency comb allows one to probe fast dynamics in the time domain and high-resolution structural information in the frequency domain for both atoms and molecules. The authors provide a detailed review of some of the current applications that exploit the unique features of frequency comb spectroscopy and discuss its future directions. Yurvsky, Olshanii and Weiss review theory and experiment of elongated atom traps that confine ultracold gases in a quasi-one-dimensional regime. Under certain conditions, these quasi-one-dimensional gases are well-described by integrable one-dimensional many-body models with exact quantum solutions. Thermodynamic and correlation properties of one such model that has been experimentally realized are reviewed. DePaola, Morgenstein and Andersen discuss magneto-optical trap recoil ion momentum spectroscopy (MOTRIMS), exploring collisions between a projectile and target resulting in charged target fragments. MOTRIMS combines the technology of laser cooling and trapping of target atoms with the momentum analysis of the charged fragments that recoil from the target. The authors review the different MOTRIMS experimental approaches and the spectroscopic and collisional investigations performed so far. Safronova and Johnson give an overview of atomic many-body perturbation theory and discuss why extensions of the theory are needed. They present “all-order” results based on a linearized version of coupled cluster expansions and apply the theory to calculations of energies, transition matrix elements and hyperfine constants. Another contribution on atomic theory, authored by Fischer, explores the advantages of expanding the atomic radial wave functions in a B-spline basis. The differential equations are replaced by non-linear systems of equations and the problems of orthogonality requirements can be dealt with using projection operators. 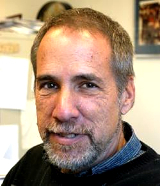 Electron-ion collisional processes are analyzed by Mueller, including descriptions of the experimental techniques needed to obtain cross section data and typical values for these cross sections. The present status of the field is discussed in relation to the detailed cross sections and rate coefficients that are needed for understanding laboratory or astrophysical plasmas. Finally, Duan and Monroe review ways to achieve scalable and robust quantum communication, state engineering, and quantum computation. Using radiation and atoms, ions, or atomic ensembles, they show that they can construct scalable quantum networks that are inherently insensitive to noise. Progress in experimental realization of their proposals is outlined.